This photo of downtown Sarasota, Florida in 1901 shows the northeast view of the intersection of Main Street and Palm Avenue. 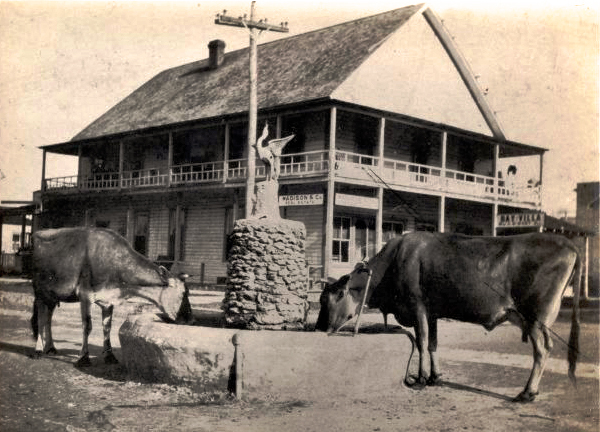 The fountain was presented to the town by Colonel John Hamilton Gillespie. Cows and other farm animals roamed freely in the streets and obviously enjoyed refreshing water breaks. The building in the background was The Inn and later became the Bay Villa. Photo courtesy of the Sarasota County History Center.